Looking for last minute gift ideas? We love shopping local and we love supporting moms. 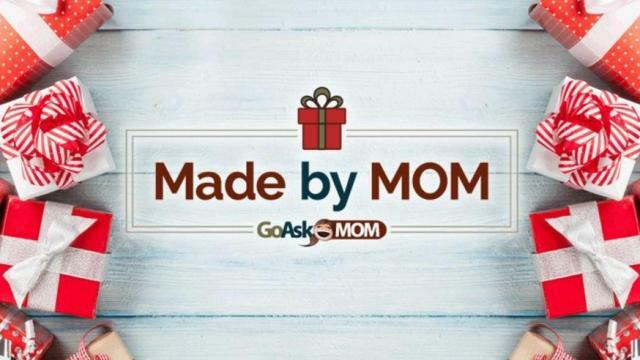 That is one of the reasons the Go Ask Mom, Made by Mom Holiday Gift Guide is always one of my go-tos for great gift ideas. Check out the full Gift Guide here and keep reading to see some of my favorite gifts for this year. How cute are these clothes from Angie Gehrt of STEM Stitchery? 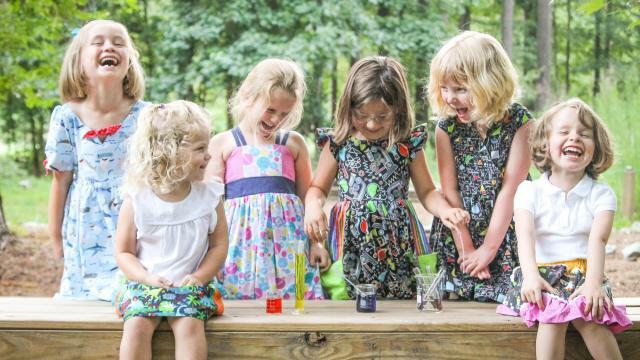 She launched her company earlier this year because she wanted to make it possible for girls to wear their passions, including science, technology, engineering, and math, on their sleeves. She offers a variety of handmade boutique-style clothing items for girls. Parents, are you looking for a way to make your life a little easier? Check out Kenson Kids– the brainchild of Jennifer Edmundson and Jennifer Kent. They offer a line of chore charts, reward charts, games, and more for kids. 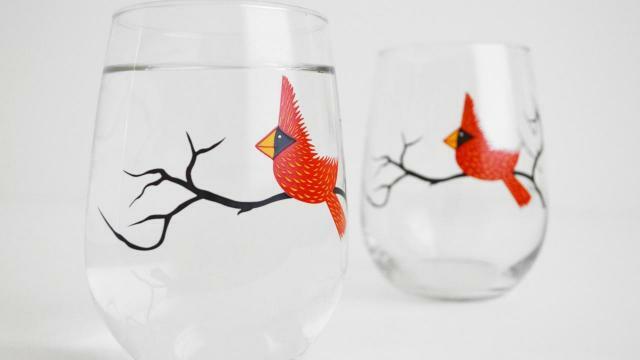 If anyone is looking for a last minute gift idea for me, I’ll take these wine glasses from Mary Elizabeth Arts in Chapel Hill ????. She offers hand painted glasses, bowls, mugs, and more. You can never have too many cute wine glasses which is why I love the etched drinkware from Misty Mountain Made. Think wine and design with wood! 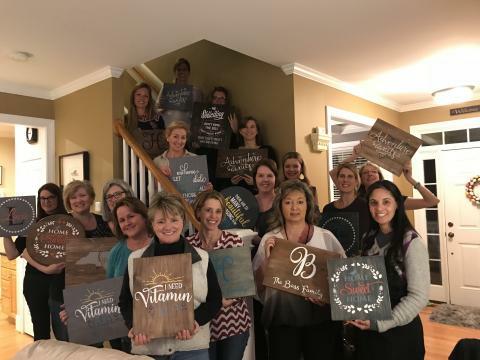 Nicole Fella offers custom handmade wood home décor and organizers DIY workshops through AJM Interiors. 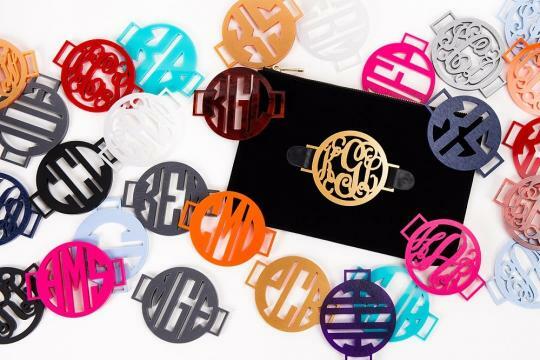 Who doesn’t love a monogram! Jenny Ross owns Grateful, Initially Inspired Bags. and holds a 2013 patent for her interchangeable monogram concept. Last but not least, for my fellow sweet tooth lovers, you have to try Annette Sweet Neecy‘s mixes to make your own “scratch” cakes. You will be the talk to any holiday party and they make the perfect sweet gift to pass along.